So you’ve decided that you want to purchase a static caravan. Here’s a list of key things that you should think about before making your purchase. Make sure you set yourself a realistic budget for how much you can afford to spend on the static caravan itself. Not forgetting that this isn’t the only cost that you have to worry about. There will also be annual costs to pay such as: a pitch fee, management fee, utility charges and insurance. If you are purchasing a brand new caravan, check if the price includes the transportation to your chosen caravan site. Brand new or pre owned? Check with the park owners, how long you are allowed to keep a static caravan on their site before you replace it. Some parks have no age limit, whereas others have a maximum of 15 years. Bear this in mind when purchasing both brand new and second hand. If you are purchasing a pre-owned static caravan, you only have the balance of years left on the lease before having to purchase a new one. 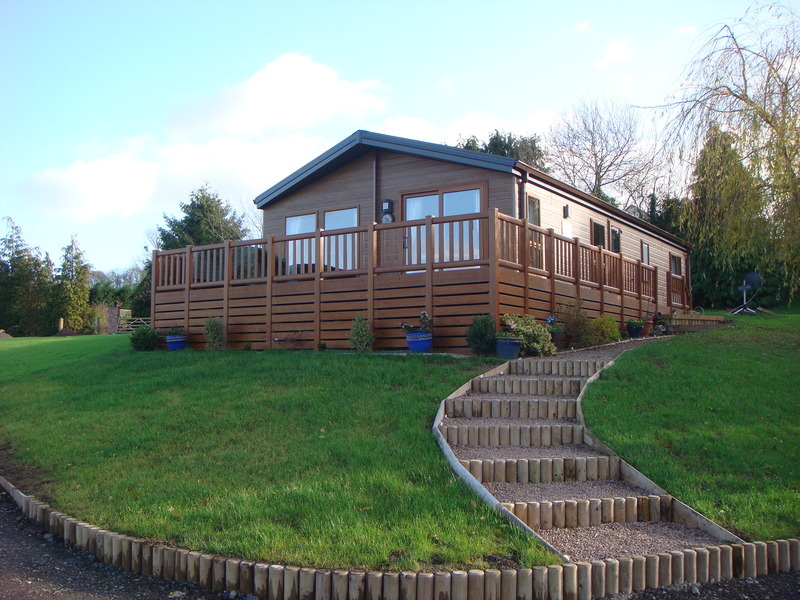 Take the time to carefully consider where you are going to have your static caravan. Do research and create a short list. Visit each place that you are considering, making sure you see all of the facilities that are available and visit the nearest town. If possible, speak to other caravan owners at the park. Also consider how long it will take you to get to your caravan, from your home and will the distance allow you to use it regularly. Check when the holiday park is open, as they typically close during the winter months to allow for essential maintenance. Generally caravan parks are open for a maximum of 10 months a year and there may be some restrictions on how long you can spend there in one go. If you are a dog owner, make sure you check that the park is pet friendly beforehand. You will need to purchase new items for your caravan, just to make it liveable. Items you’ll need include linens, cutlery, crockery etc. Take this as a good opportunity to clear out the overflow from your home. If you find your caravan is quickly overflowing with stuff, you’ll be able to purchase a caravan storage unit from Asgard. These metal sheds sit outside your caravan and are the ideal way to store surplus caravan items securely. Remember owning a static caravan is a very worthwhile investment, if you plan on using it regularly you’ll save time and money on expensive holidays abroad. 2012 saw a rise in the number of burglaries on static caravans in the UK. An increase in these burglaries was seen in caravanning destinations such as Skegness, Wales, Newcastle, Lancaster and Worcester. These burglaries increased particularly in the winter period, as the caravan parks are much quieter. Caravans are being emptied of any high value goods such as televisions and other electrical items. One caravan park in Skegness was hit with 20 burglaries in one night. A similar report came from Worcester where 5 caravans were targeted in one night and valuable items and cash were stolen. Is your caravan protected from theft? The nature of static caravan burglaries is that thieves will look out for unoccupied caravans, close to dense foliage, allowing them to steal with a lower risk of being caught. Burglars are able to gain access into caravans by using small bathroom windows as a point of entry. These should be fitted with strong locks to prevent forced entry and help protect your caravan. Police are urging people to take greater care in securing their caravans. A caravan should be protected in the same way that you would protect your home. Never leave expensive items such as TV’s and Games consoles in your caravan, when you aren’t using your caravan. Leave cupboard doors and curtains open as thieves will be put off by the empty appearance. Have secure door and window locks fitted to your caravan. Fit an alarm and use it! Mark any valuable items inside your caravan. If you want security for your seasonal items that always stay with your caravan, such as BBQ’s and outdoor furniture, then take a look at the Asgard range of Caravan Site Storage. These metal storage units sit perfectly outside of your caravan and offer additional secure storage space. These caravan storage sheds are made from strong weatherproof steel and offer the best caravan site security for your items. The Asgard caravan site storage units are used at caravan parks all over the UK and are a preferred product of Park resorts. . Find out more about these caravan site storage sheds on the Asgard website.